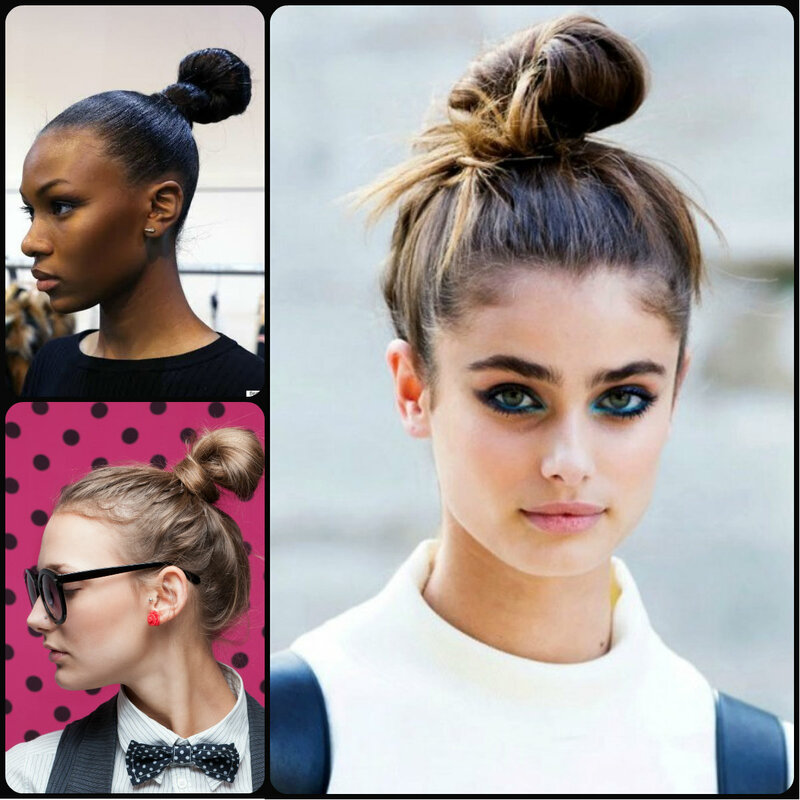 Ponytails are the hairstyles popular at any time and season and weather. We all know well enough how to create them cause this is the very hairstyles for everyday use that each woman has adopted. 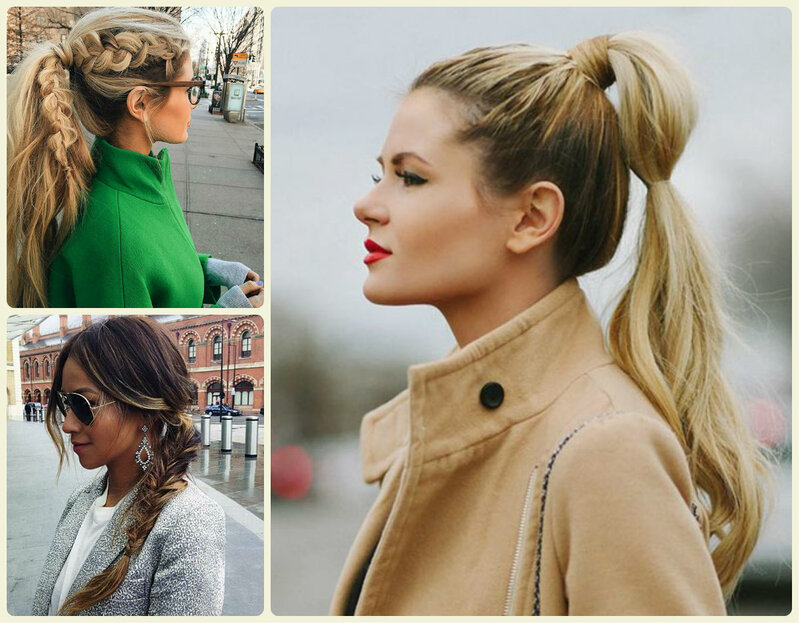 But hair trends 2015 seem to have favoured ponytail hairstyles for fall 2015 and taken them to new heights. We have seen ponytails on runways, designed on model long hair and very sleek. But today I have collected some cutest ponytails, both long and short, sleek and messy, adorned with braids and twists, and all of them will be perfect for chilly autumn weather. 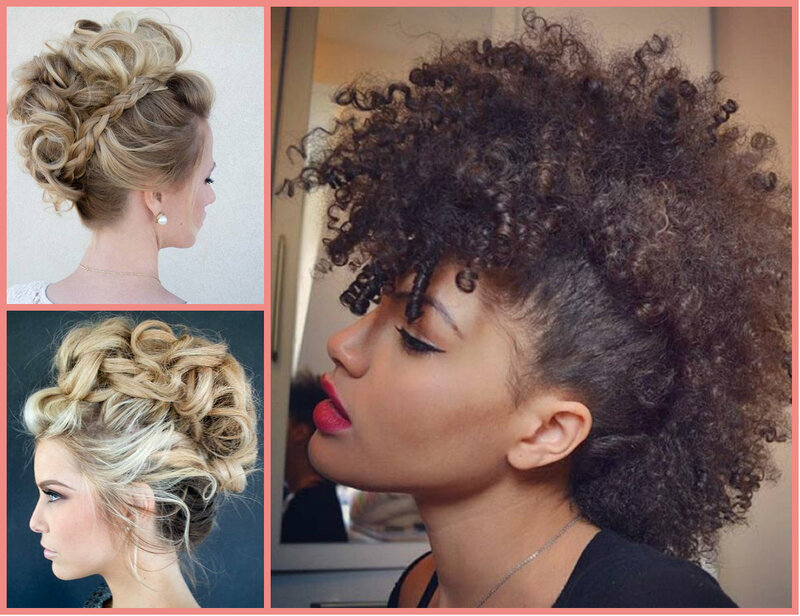 If you love being in the limelight and get all eyes on you, then Mohawk hairstyles are meant for you. But will you really dare to create the authentic Mohawk and shave sides for that? Some may say yes, for others it may be too much. And here comes the best solution - faux hawk hairstyles. It is impressive and glamorous, can fit any hair type and doesn't require edgy steps. With your statement faux hawk hairstyles you can look chic every day, you can go to a party and even official dinner with you partners and colleagues. Such imitation of Mohawk hairstyles 2015 will be your best choice to get stunning looks and stand out of the crown that follows the trends of center parts and sleek hair. Each June in the middle of the hot summer time for fifteen years now we welcome BET awards. This is the awards aimed at distinguishing and honouring the success of smaller national groups in the world of music and arts. This year as the previous ones introduced us incredible looks by celebrities including their dresses, shoes, make up and of course celebrity hairstyles. Before coming to hairstyles, I'd like to comment the dress of Zendaya - it was amazing, extra mini, a bit transparent and all shining like e pure diamond. 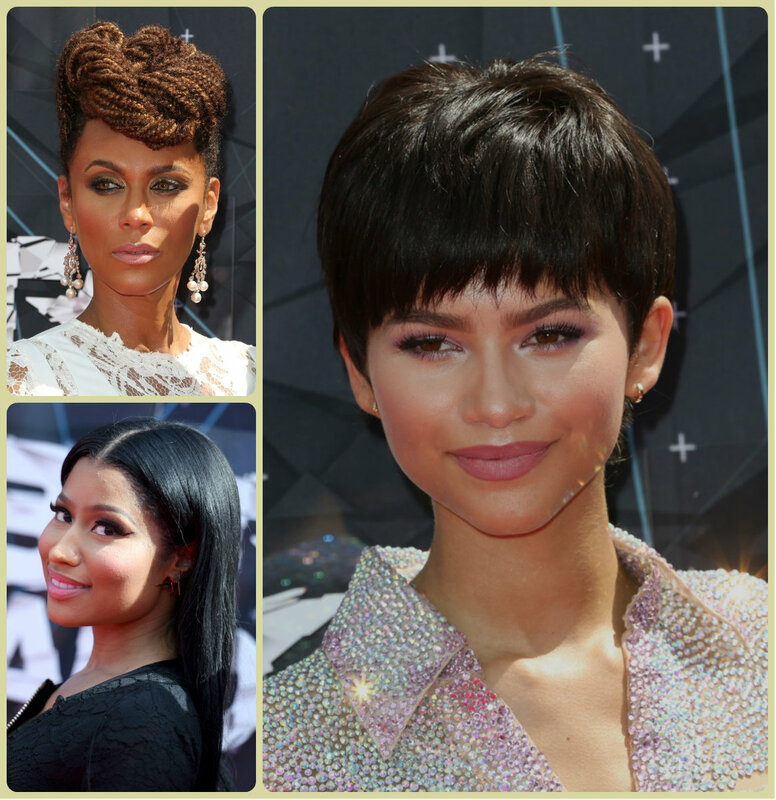 But we are here to consider 2015 BET Awards celebrity hairstyles, and here we go. First of all we must know that even though celebs stayed true to some general trends in hair styling, some of them came out with incredibly amazing styles out of trends. It's been a while that I have been considering the national holidays and what hairstyles to wear during the patriotic events. For grown-ups it seems to be not very important but you have got kids these days and creating patriotic hairstyles can turn into real ordeal. 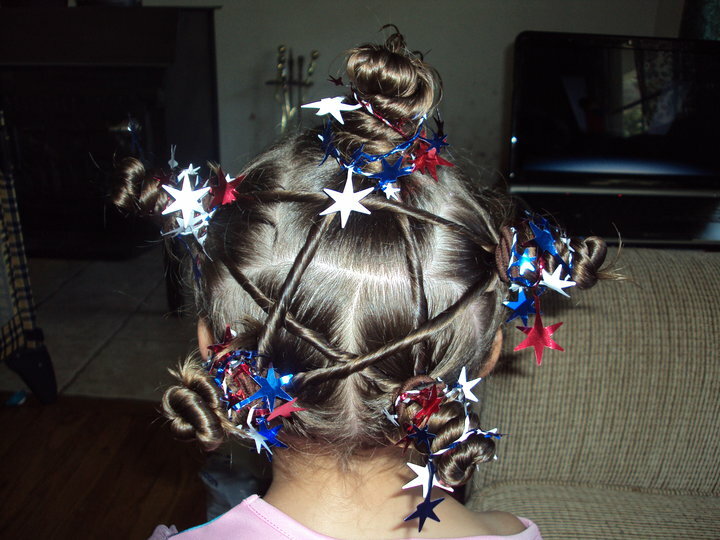 To avoid that, let's prepare beforehand and look through some most amazing July 4th kids hairstyles 2015 that will make you life easier. With this stars and stripes braids and twists and buns and ponytails you will be able to create cute kids hairstyles for Independence day and make your kid look fantastic at the vents that are usually organized and children's gardens and schools. When all doubts are left behind and you have agreed to marry that very precise and special man, you come to face wedding arrangements. You will need to plan all the details to avoid any unpleasant thing, for sure there will be people to help you and you groom himself will do many things but as for the wedding dress, make up and bridal hairstyles you will have to act on your own. 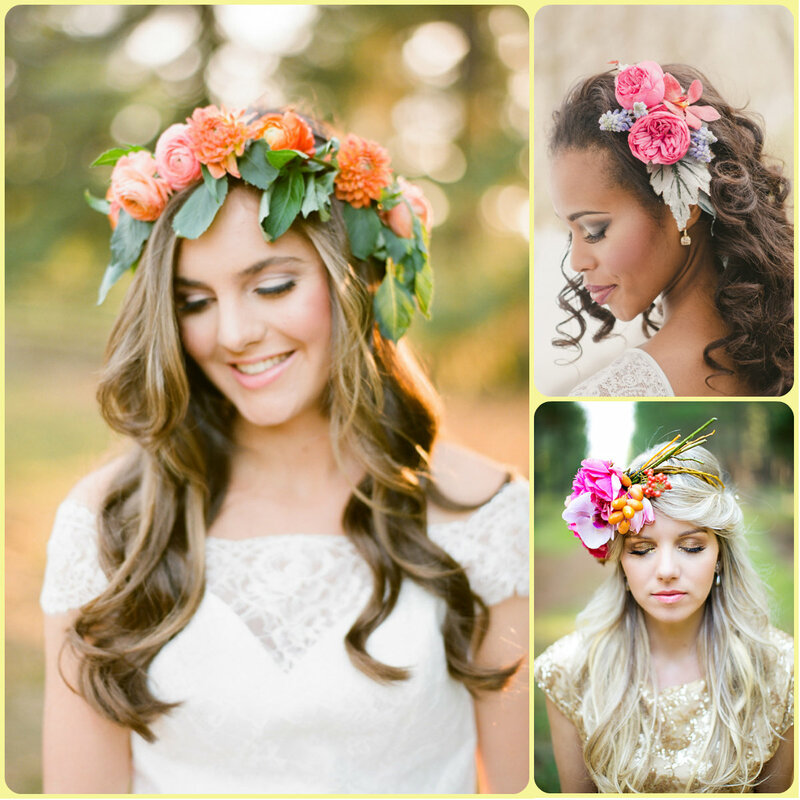 So for the brides-to-be this summer 2015 hairstyles offer a cutest collection of wedding styles with flowers. What can be more romantic and touching than a bride in real flowers in her head and in wedding dress. Flowers are the best hair accessories for summer wedding and it doesn't really matter whether you have long or short hair, floral design will suit you.